The weather is getting better and we are excited about upcoming hot summer days, sunny beaches and joyful parties with family and friends. We want to look beautiful this time of the year because we gather more often and want our face and body feel young and fresh. I tried different type of facial serums, there are so many to choose nowadays. They are designed to make your skin young, smooth, reduce fine lines and wrinkles, hydrate and rejuvenate. While some facial serums are intended to treat pigmentation and preserve skin’s elasticity, I can definitely say that 180 Cosmetics Pure Swiss Hyaluronic Serum I tested is an anti-aging serum. First, this serum absorbs pretty fast when applying. Second, if you have big pores ( for example on a T-Zone or on cheeks) then 180 Cosmetics Pure Swiss Hyaluronic Serum can help you with that problem. It works fine on reducing and shrinking large pores and you can feel it for sure. I also noticed that my skin became smooth and if not as young as 10 -15 years ago but cared, fresh and healthy. 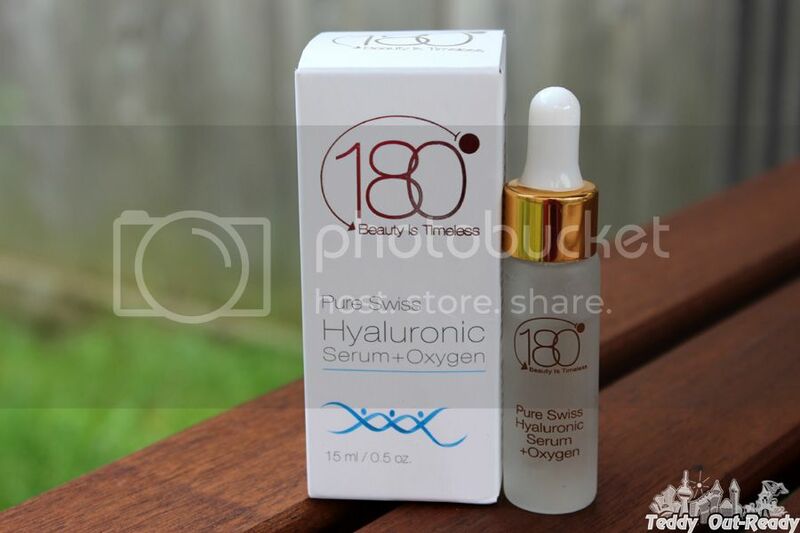 The bottle 180 Cosmetics Pure Swiss Hyaluronic Serum is not large and enough for two weeks. I also like that it is fragrance free and does not irritate my skin. This serum brings visible results to my skin and a good fit for someone like me at their thirties . I do not look like I just visited a skin salon but I like my naturally beautiful, nourished and toned skin after using 180 Cosmetics Pure Swiss Hyaluronic Serum. 180 Cosmetics Pure Swiss, Hyaluronic Acid Serum made of natural ingredients and quite affordable ($17.49) compared to other facial serums on the market. For more information please visit company website and check it on Amazon.ca.